 Updated my About GreenImp & Past Pics pages.  Added a new pics to my About GreenImp & Past Pics pages.  Removed the animated background off this page.  Added the ePSXe Pics page!!  Removed the bleem! Pics, Game MIDIs, & Final Fantasy Anthology Art Gallery pages.  Finally got a new pic on my About GreenImp page. Check it out.  I got a my first car! It's my dream car too! 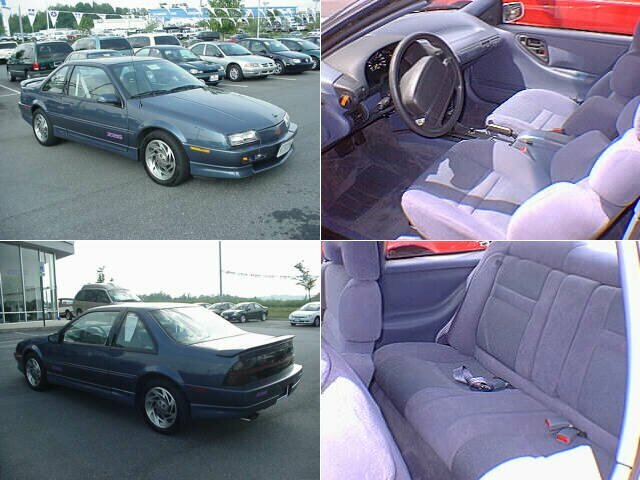 =D Look at my 1996 Beretta Z26!  Updated the Game MIDIs page! Go get your new music! redesigned the Menu & What's New tables.  Added a net buddie's webpage to my Links page.  I took off the fixed background on the main page because IE can't handle it. (CDF's Webpage) for letting me learn from his HTML source!  Slowly, but surely, there will be few more new things to come! of it, but Netscape handles it much better.  I'm working on enhancing my homepage. It's still a WIP so stuff may be a bit goofy.  I now have a sister site! Err... well... a cousin site. =)  Go check out his page!  Made a minor fix to the What's New table. fine for everyone else though. Ohh well.  I updated the MIDI files and my Game MIDIs page. & music backgrounds. I'll fix them later because I'm tired, and want to go to bed.  Now IE is randomly opening my backgrounds. Hopefully I'll figure out why soon.  Made some minor cosmetic changes.  I redesigned my site a bit. Like the new look?  Added a new Final Fantasy Anthology Art Gallery page. The music you are hearing is an awesome Final Fantasy Medley called Dark Final Fantasy. If you know who the author is of this wonderful MIDI, please E-Mail me their name so I can give them credit.